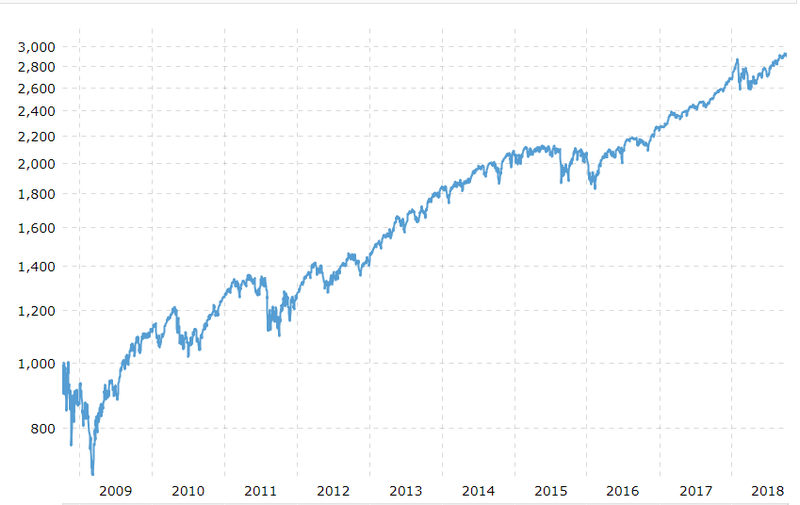 I read last week that the Standard & Poor’s 500 index (S&P 500, which is a measure of 500 of the largest companies in the USA) closed at a record high for the 100th time since the election of President Trump. Finishing the day at just under 3,000, the closely watched index suggests the US economy is powering along being driven by tax reform, accommodating government policy and investor optimism. As an investor, I am not entirely sure what to make of this. On one hand, many ingredients for continued economic growth remain present. Low interest rates, low unemployment, investor confidence, rising company profits and a global economic recovery all provide a sound platform to help push company share prices higher. Another positive indicator for investors is that the recent rise in US share prices is not confined to any particular sector of the economy. Consumer stocks (Nike, Walmart), tech companies (Apple, Microsoft), financials (Berkshire Hathaway, Bank of America), healthcare and industrial stocks all are currently benefiting from the positive business climate that is good for company profits. On the other hand, my sense of caution kicks in. Bull markets as they are known, historically last for around 9 years, though they vary wildly in their duration and scale. It is 10 years since the collapse of Lehman Brothers (which in a way typifies the Global Financial Crisis) and share prices have been increasing for the past 9 years. Bull markets do not simply die of old age; they don’t reach a certain length, and then keel over. What seems to end them are things like increased costs (labour, borrowing, electricity, etc. ), rising inflation/wages, reduced consumer spending or in some instances just a good old-fashioned recession. The difficult part for investors is that no one rings a bell and says, “time to get out now, the tide is turning”. On average, US share prices have risen 320% since March 2009. Could it be that the past nine years have been a fluke and a major correction is around the corner? It’s hard to say (and I am yet to learn of anyone that can consistently predict the future of financial markets). I have been around long enough to start shouting “this time it’s different”, but perhaps it is worth keeping an open mind to the prospect that share prices behave a little differently in the 21st century. High levels of debt, low interest rates, instant access to information and more globalization leads to more diversification and arguably, less risk. This could translate into a more stable and steadily rising stock market and an era of weaker but longer-lasting bull markets. If there is one prediction I can make with certainty it is this; company prices will eventually fall again – the only question is when this will happen. Ultimately, it is impossible to predict future share price movements with any continued success. In my view, the best you can do is hold a diversified portfolio of low-cost investments and arm yourself with the knowledge that there will be good times and bad times but over time, owning businesses gives you a higher return than leaving money in a bank account.